Neil Gaiman once said that 'the world always seems brighter when you've just made something that wasn't there before'. This little book is the embodiment of that vision. 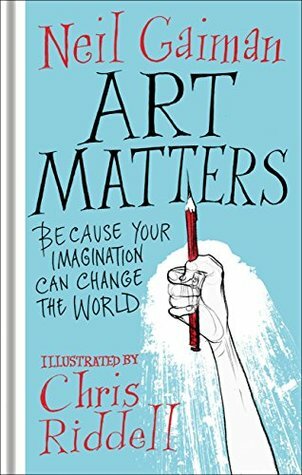 Drawn together from speeches, poems and creative manifestos, Art Matters will explore how reading, imagining and creating can change the world. A creative call to arms, the book will champion freedom of ideas, making art in the face of adversity and choosing to be bold. It will be inspirational to young and old, and will encourage glorious, creative rebellion.